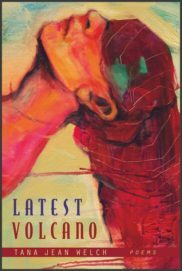 In Latest Volcano, Tana Jean Welch reveals through poetry the gift and power of story. 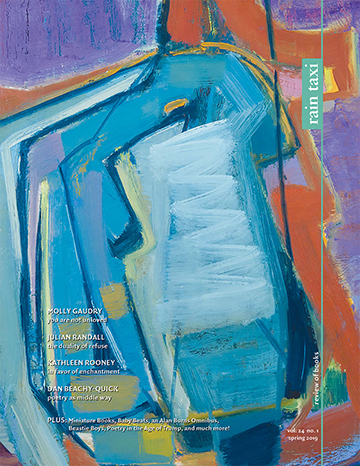 Each poem in this dense volume is lyrically defined by both narrative structure and holistic convergence of abstract and concrete. The presentation of characters, settings, and situations is as subtly beautiful as it is haunting, and leaves the reader inspired and in awe. These poems are gilt-lined, catching to the eye and the mind, and reminiscent of the broader circumstances found within everyday humanity. She learned to oscillate like the beam of a balance. it’s not safety in numbers, but safety in movement. without regret to the feet of frogs. her own death. Bottle. Bridge. Overall, Welch’s poems remain challenging, above and below their surfaces. Loud or quiet, these poems evoke a sense of the powerful and the affective. There is an enjoyable and inspiring contrast between the stories therein: some include resolution, while others merely describe the experiential process and the messy, inconclusive results. That Welch has focused on such a wide and open realm of human existence ensures many readers will find these poems approachable again and again. This entry was posted in Uncategorized and tagged Spring 2016 on June 1, 2016 by Kelly.